Hoop Nut 2015-2016 PBA Philippine Cup Alaska Aces PBA San Miguel Beermen #PBA2016 PHILIPPINE CUP FINALS PREVIEW: SAN MIGUEL BEERMEN vs ALASKA ACES - NO KRAKEN, GET CRACKIN’! #PBA2016 PHILIPPINE CUP FINALS PREVIEW: SAN MIGUEL BEERMEN vs ALASKA ACES - NO KRAKEN, GET CRACKIN’! Vic Manuel (R) and Arwind Santos (L) are set to collide anew in Game 3. On the other end, everything seems to be falling into place for the Aces. Vic Manuel has been playing like a man possessed, Calvin Abueva has been solid, the wing duo of Cyrus Baguio and Chris Banchero has been quite dangerous, and they’re getting contributions up and down their roster. A win in Game 3 will give them a 3-0 lead and virtually ensures their PHL cup win, but they cannot take that game for granted because if they leave the door open for the defending champs, anything can still happen. 1. SMB: WILL THE REAL ARWIND PLEASE STAND UP? 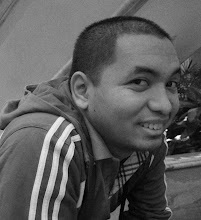 - Arwind Santos must take over for as long as June Mar Fajardo is out. There is no other way to put it. If SMB is hoping to still make a comeback in this series, the Spider-Man is the guy who must lead the charge. So far, however, he has been outplayed by Vic Manuel, and he has shot blanks. He needs to regain his true form for SMB to get back on track. 2. YANCY DE OCAMPO: FILLER OR LEADER? - Yancy De Ocampo has been a revelation in the Finals for SMB. He has stepped in to fill in for JMF and has done a very admirable job in the absence of the MVP. Still, YDO isn’t the type of player who can really carry a team this deep in the playoffs against a team of ALA’s caliber from a 0-2 series hole. YDO will be important, but SMB cannot possibly count on him to be their main man moving forward. “He’s 6-9. He’s an exceptionally skilled player. If you would put Yancy – with all the centers in the league – in like a sort of pass, catch and shoot drill, you can look at his passing accuracy, look at his shooting accuracy from different spots, he’ll be one of the top,” ALA coach Alex Compton told sportswriters after Game 2. - Speaking of admirable, Alex Cabagnot has been the star Beerman really carrying the load for the team. Cabaggie has really take in upon himself to lead by example, scoring heavily to try and offset the missed production of JMF. If Cabagnot can keep his production at a very high level, then perhaps SMB can still pull the rug from under the Aces, but it will be a very tall order. - So far in this series, SMB, despite playing well in stretches, just hasn’t been able to really get out of the gates. The Beermen have been outhustled by the Aces in almost every aspect, and that needs to change if the Beermen want to prevent themselves from falling into an insurmountable 0-3 hole. One glaring aspect is rebounding. SMB was maybe the best rebounding team going into this series, but the Aces have dominated on the glass. SMB was also the best in terms of 2nd chance points this conference before the Finals, but they’ve been obliterated by ALA in that department, too. - In Games 1 & 2, SMB scored a total of 14 2nd chance pts, while ALA has scored 33. - Before the series, SMB had the biggest rebound difference in the season so far. They outrebounded teams by more than 5 boards a game. So far, however, they have been outworked on the glass by ALA by an average of 10. - SMB has been able to force ALA to commit more turnovers, but the Beermen just haven’t been able to capitalize. ALA has been able to score more Pts off TOs, and they have used this weapon well in their first two wins. - Vic Manuel has been nothing short of a bully in this series. The 2012 9th overall pick has blossomed into a star in this series, and he has really dominated in the paint, exploiting the absence of JMF. He has been practically unstoppable so far in the Finals, and if he remains unchecked, SMB will continue to flounder. I mean, he was the Player of the Game in BOTH Games 1 & 2 (pls verify)! - In Game 2, veteran wingmen Cyrus Baguio and Dondon Hontiveros proved to be vital cogs, combining to score 22 points. Some may say these two seem “over the hump,” but they have proven to be very important contributors for the Aces. Cyrus’s energy, length, and athleticism have been great foils for SMB’s wingmen, while Hontiveros’s shooting prowess has made it tough for SMB’s defense to keep their sole focus on Manuel. - Calvin Abueva may not be ALA’s leading scorer, but he has definitely made life difficult for SMB in many other ways. He is norming a double-double in this series, and has been a constant ball of energy and unpredictability for the Aces. Needless to say, if he continues to put up big numbers, the Beermen may not be able to mount a serious comeback. - ALA is supposed to be the slightly smaller team in this series, but they have been the ones playing much bigger than their size suggests. 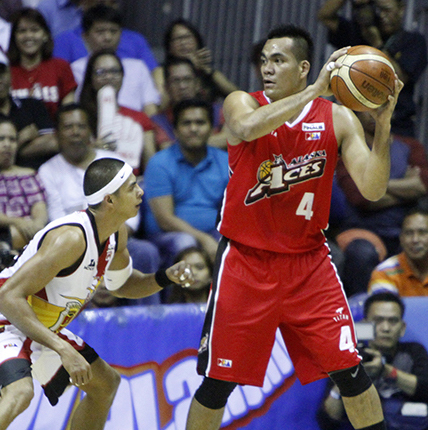 The Aces have outscored SMB in the pain in BOTH Finals games, and it looks like there’s really no stopping them. The thing is SMB has been used to and predicated on having JMF as the sole inside player on offense that even if they put guys like Yancy, Arwind, or Gabby Espinas in the slot, the Beermen don’t look comfortable feeding these teammates in the post. - They may not play exactly the same position, but Santos and Abueva are the faces of these two franchises in this series right now. On one hand, Santos has been playing below his ability, while, on the other, Abueva, has been playing solidly. Needless to say, whoever plays better should give his team a huge lift and maybe a big win in Game 3. 10. HAVE THE ACES WON IT ALREADY? - Alaska now has a 2-0 lead, which, in the 37 of 43 times it has happened overall in a best-of-7 series, including the last 10 occasions, has always resulted in a series win, a success rate of 86%. In a best-of-7 PBA Finals, 29 of 34 teams which took 2-0 leads went on to win the championship, or 85.3%. With the way the Aces have been playing, is it even plausible for them to lose given this 2-0 lead?